Molloy Lawn and Landscape began as a side business in 1963 by previous generations of true gardeners. We have transformed into a full service company that can handle many facets of landscape maintenance with one phone call. At Molloy Lawn and Landscape cultivating the landscape is our life and livelihood. It is our number one goal to help our clients maintain their beautiful landscape while reducing the impact on the environment. Molloy's horticulture experience is continually working to provide new techniques to make sure your property shines all year long. From fertilizers, "IPM" integrated pest management, weed controls, mulches and other products we are using that are environmentally friendly, we know we are making a difference one property at a time. 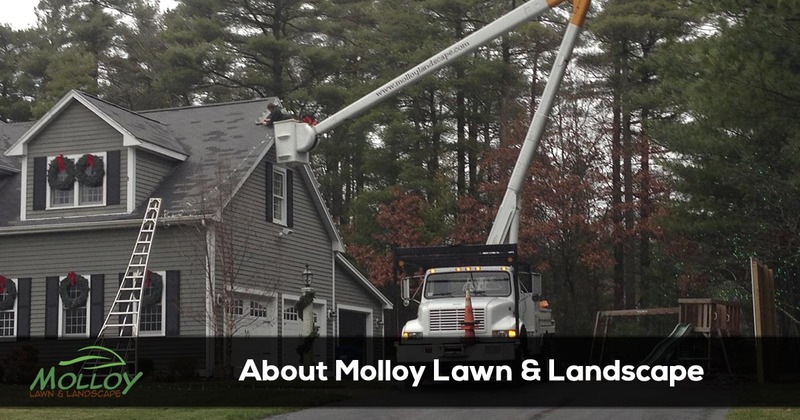 Molloy Lawn & Landscape is a family owned and operated local third-generation company with strong roots in the Boston Southshore area. Established in 1963 as a maintenance and snow removal company, the company has evolved into a full service operation. Our philosophy is to provide the very best landscape and horticultural values to create lasting relationships with our customers that cannot be matched by others. Our goal is to provide professional lawn care and landscape services to both commercial & residential customers. Dedication to quality and a commitment to customer satisfaction is the Molloy Lawn & Landscape Motto. We are a Family Owned and Operated Full Service Landscaping & Lawn Care Company that has been Operating Since 1963. Give us a call today at 617-333-6900.